Housed in a beautifully renovated neoclassical courthouse, the Radisson Blu Hotel in Nantes is ideally located for exploring the city. From its setting on Aristide-Briand Square, a short stroll will take you to Nantes' most famed attractions. The Château des Ducs de Bretagne, a 13th-century castle-turned-history museum, is just moments away. For panoramic views of the city, head to the top of the 144-meter-high Tour Bretagne (Brittany Tower), also nearby. Its city center location means our Nantes hotel is close to major transport links, with tram and bus stops only 3 minutes away by foot. Jump on the tram to reach Nantes SNCF train station, 1.5 kilometers from the hotel. Nantes Atlantique Airport is a 10-minute car journey. 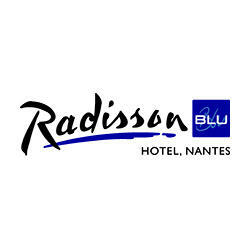 Les horaires d’ouverture de Radisson Blu Hotel, Nantes, sont fournis à titre informatif, hors périodes de congés. Pour être certain de ces horaires, veuillez contacter directement l’établissement.